In 2014 Peter Eggenhuizen opened the doors of his new business Platinum Edge Properties from a home based office. 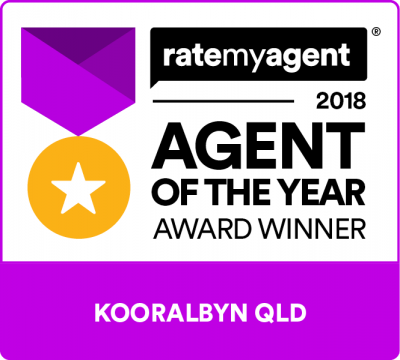 During this time he has grown his new real estate agency into a well known and trusted brand in Kooralbyn, with an office in the main Shopping Village. As an Independent Agency, Peter has worked tirelessly promoting Kooralbyn, the Scenic Rim and our properties listed for sale to potential buyers and investors who are considering Kooralbyn and the surrounding suburbs to buy or invest in. Peter is very passionate about selling your property! He is also a resident of Kooralbyn and an avid supporter the Scenic Rim Community! Peter has a wealth of knowledge in the Real Estate Industry and combined with his 20 years as a qualified landscape gardener and earth moving contractor, he has helped countless clients realise the true potential of the property they have chosen. You will receive a telephone call when a buyer has requested an inspection of your property. An inspection time will be confirmed with you and the buyer will be taken through your property with the Sales Agent. Feedback on the appointment will be given to you. You will also receive emailed Newsletters with property and sales updates while your property is listed for sale. Platinum Edge Properties do not charge for the marketing and advertising of your property. In return for the opportunity to list your home for sale and to offer our marketing campaign at no cost, we request that you list your property with us for a minimum period of 90 days (whether an open, sole or exclusive appointment). Now is a great time to get a building or pest inspection on your home - Even Both! Prevention is the best way to avoid ongoing termite risks and building issues that may lead to horrible outcomes, down the track. A Vendors Building Inspection is available to you at a great price to help with the sale of your property. This report will highlight any issues with your property. Should you fix any of the issues while your home is on the market - your report will be updated to reflect the changes you have made. The report is available for any buyers who wish to buy this report directly from the company who conducted the inspection as part of their purchase contract conditions. If you have any building or pest issues with your home – you may have more than a surprise waiting for you! It's best to have these problems rectified before entering into your sale contract. Feel free to contact Platinum Edge Properties on 5544 6611 for more information.